While the cables of 90kv high voltage cables are coaxial and non-coaxial, they are arranged on the cables cables. 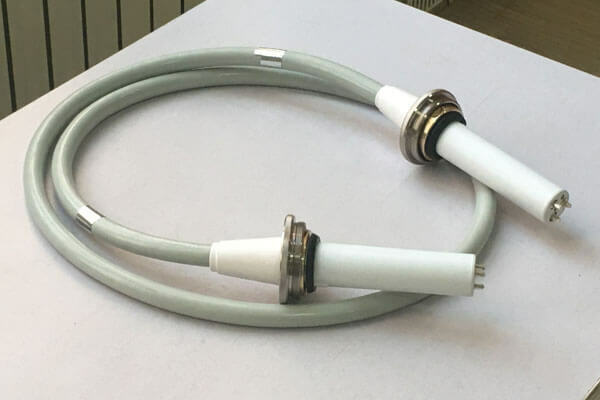 When using high voltage cables, avoid excessive bending.Its bending radius should not be less than 5-8 times of the cable diameter, so as not to cause cracks and reduce the insulation strength.Normally, please keep the dry and clean of 90kv high voltage cables while cables are off, so as to avoid the corrosion of oil, moisture and harmful gases while rubber aging. While 90kv high voltage cables protector cover has good electrical performance and safety protection system. Common problems out of cables include eccentric insulation, non-uniform insulation shielding thickness and cable dampness, etc. Some of them are very serious but they may be out of order soon. Most of them are in the form of defects in cable systems, which cause serious hidden troubles while long-term safe operation of 90kv high voltage cables. Newheek 90kv high voltage cables can be equipped with quality testing and maintenance protection services.